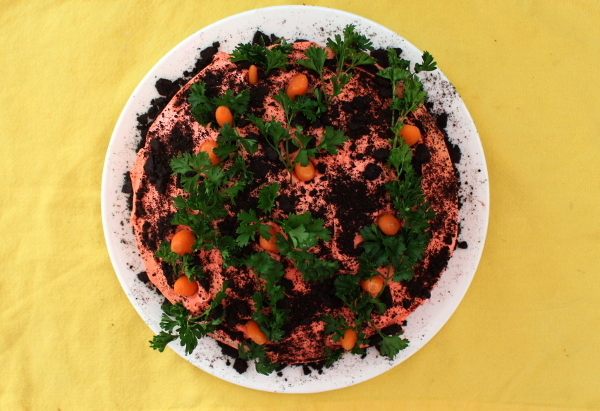 This year, I wanted to create a fun Halloween cake that wasn’t too spooky. 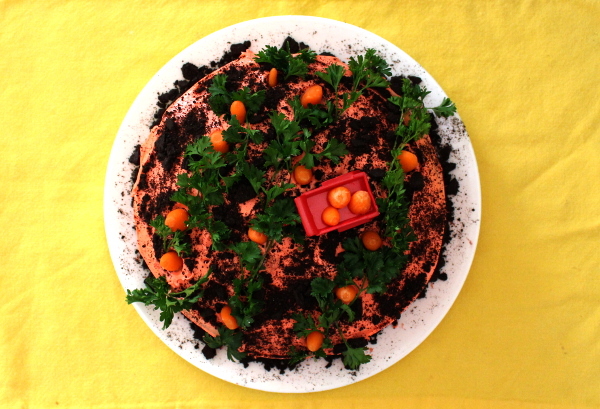 After our trip to an authentic pumpkin patch I was inspired to make a pumpkin patch Halloween cake. It was easy, a little messy and a lot of fun for the girls! 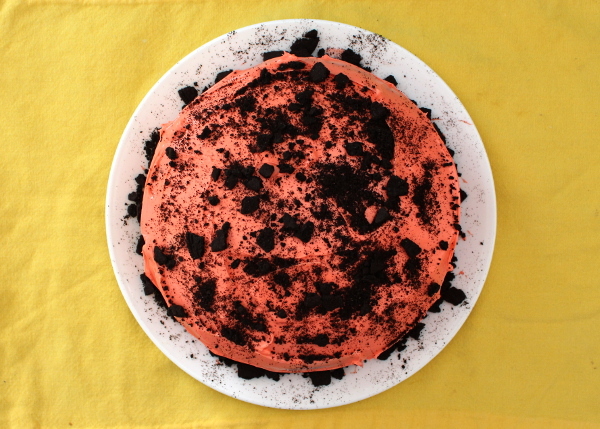 I used a boxed cake mix and some cream cheese frosting and baked two 8″ round cakes and frosted them with white cream cheese frosting to give it a good base coat so the cake color wouldn’t show through. Slowly, the girls and I started to add the ingredients as shown in order below! 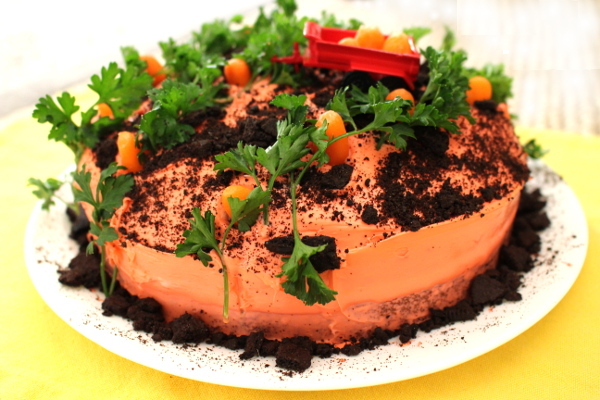 Poke baby carrots into the cake as pumpkins! 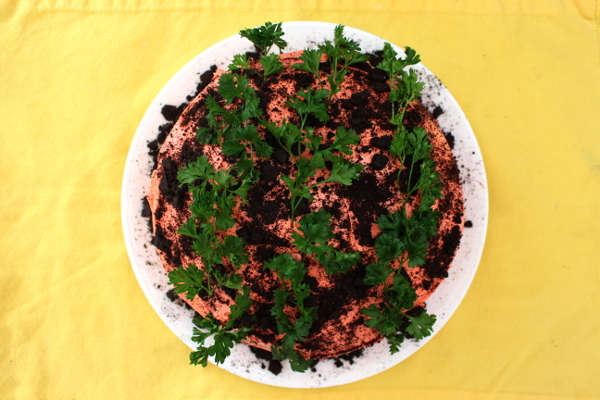 Enjoy the cake without the parsley! Ours tasted great the whole family loved it! !